About Us - Walters Group Inc. Excellent relationships with the Building Trades Council (ICI) across North America and are signatory to the Ironworkers and Operating Engineers. We are members of CISC, AISC, AISE, TCA, HCA. Walters Group is made up of a tightly integrated network of companies that design, fabricate, and construct commercial and industrial projects throughout North America. Each company within the Walters Group contributes skills, expertise, and technology that together allow us to provide our clients with vertically integrated solutions. Walters Inc. is a world-class steel constructor that provides a full spectrum of structural steel services from engineering, detailing and fabrication, to delivery and erection. 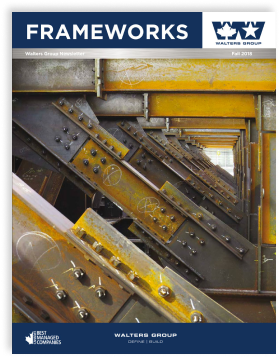 Feature Walters offers a complete package of structural steel, AESS, high-end architectural fabricated products and structures, and miscellaneous metals. Metropolitan Walters is an integrated division of the Walters Group that offers installation and erection services to the New York City market. Walters Group has a partnership with iSPAN that allows us to provide light gauge steel floor solutions to our clients. iSPAN’s TotalJoist unique design solution provides longer spans, increased fire resistance, and simplifies framing solutions compared to standard wood or steel joist. Walters Group has a partnership with Intelligent Engineering that allows us to offer our clients the emerging technology of the Sandwich Plate Systems (SPS) product. SPS is a composite metal that offers an excellent alternative to both stiffened steel and reinforced concrete. Walters Group has a partnership with Steel Construction Group that gives us access to a global fabricated products supply chain. 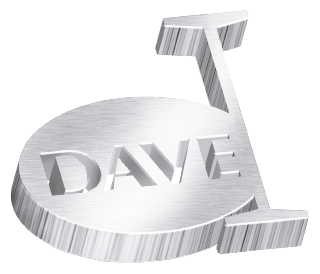 Walters Group has a partnership with Dave Steel Company that allows us to service clients on a broader scale and offer expanded capacity through joint projects.